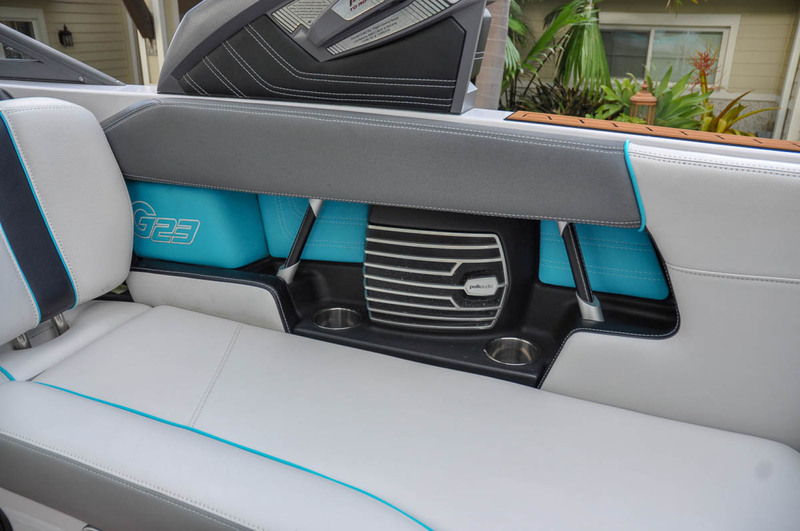 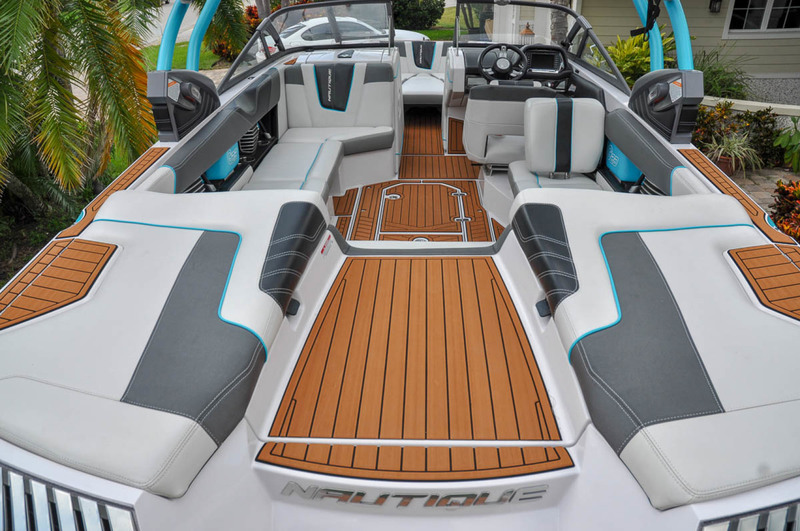 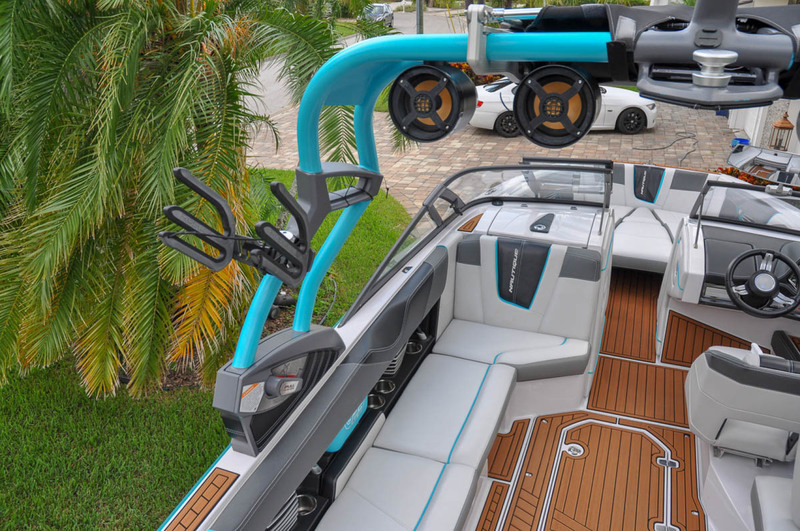 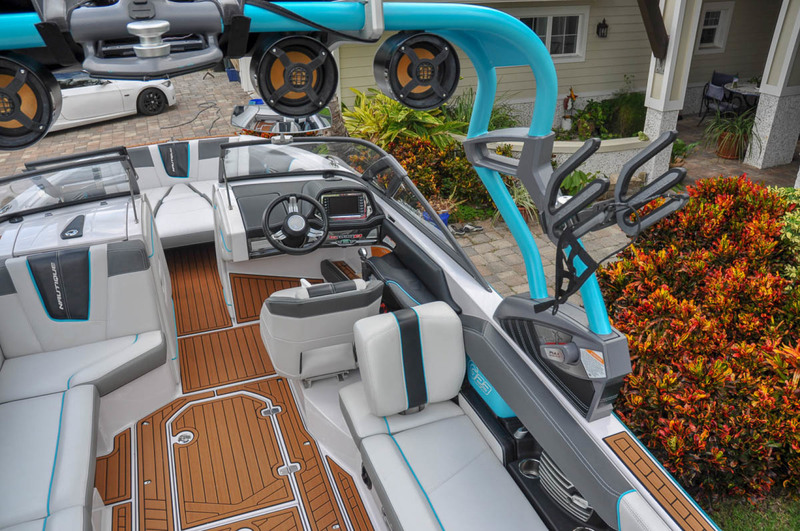 The Super Air Nautique G23 Saltwater Edition has now become more than just a boat. 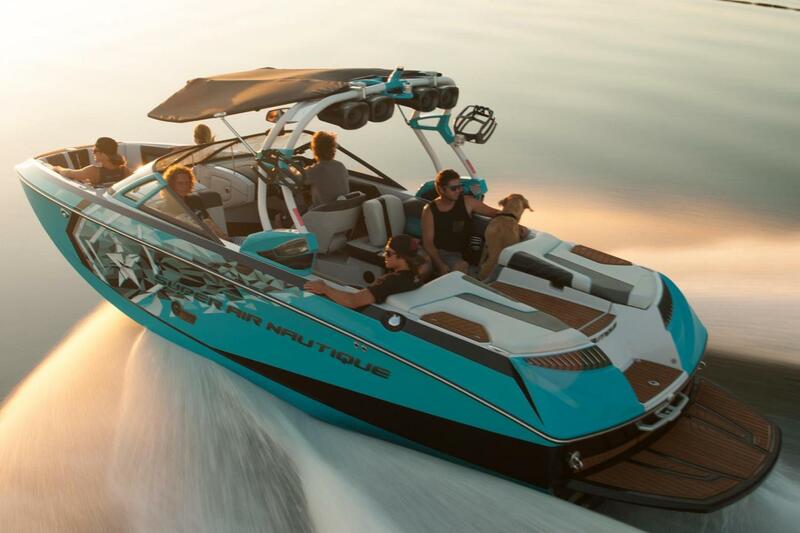 Its wakes have flooded into the dreams of every rider in the world as a gateway to new possibilities and has pulled our entire sport into a new era of innovation. 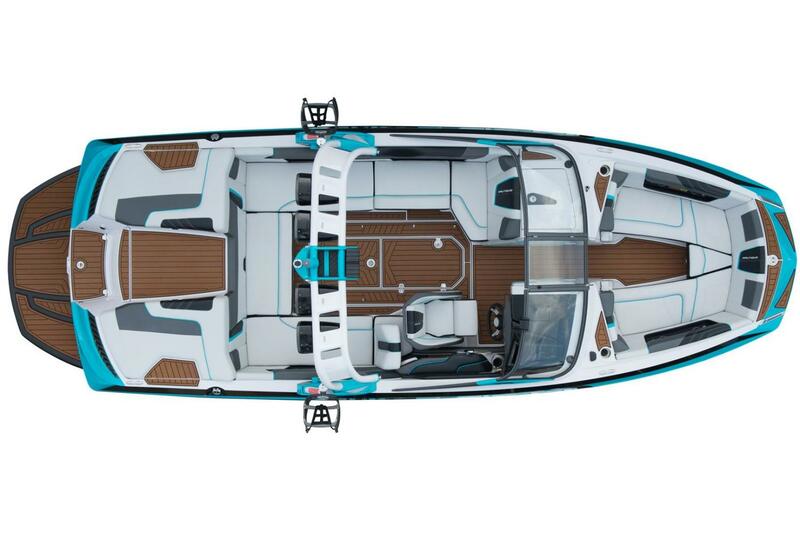 When we released the G-Series we knew that it would change everything, but we had no idea it would be taken this far. 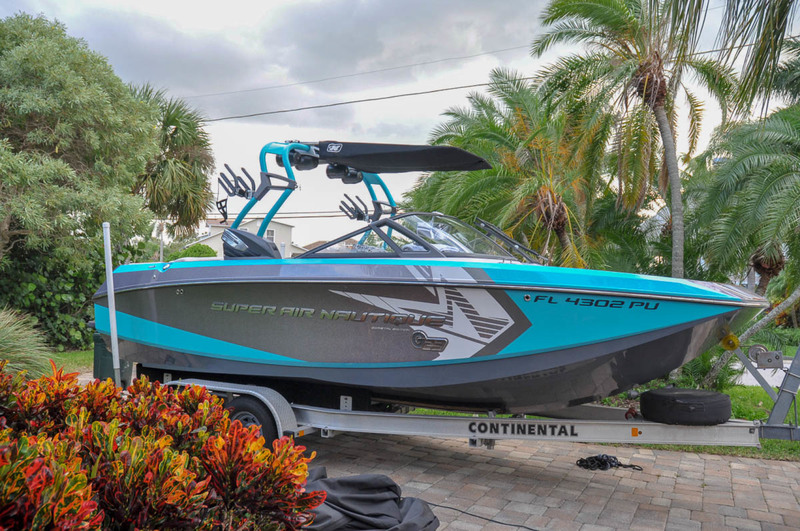 The Super Air Nautique G-Series is the official towboat of the Nautique Wake Series and the U.S.A. National Wakesurf Championships. 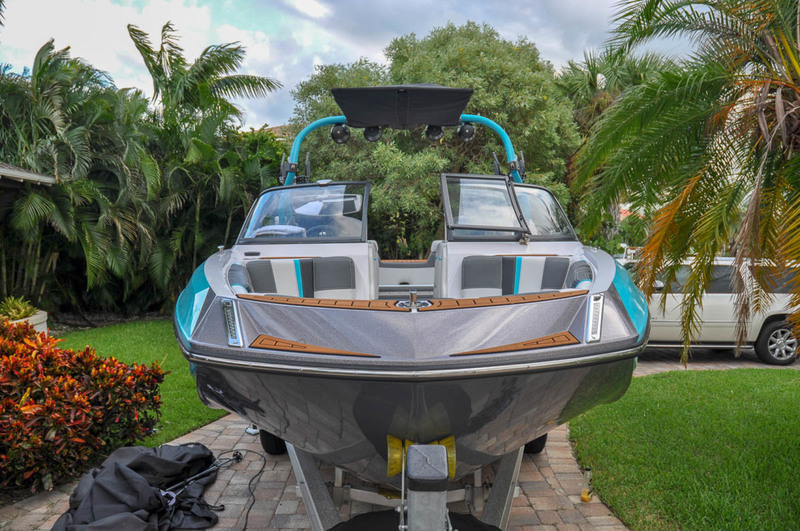 This G23 Saltwater Edition is ready for new home. 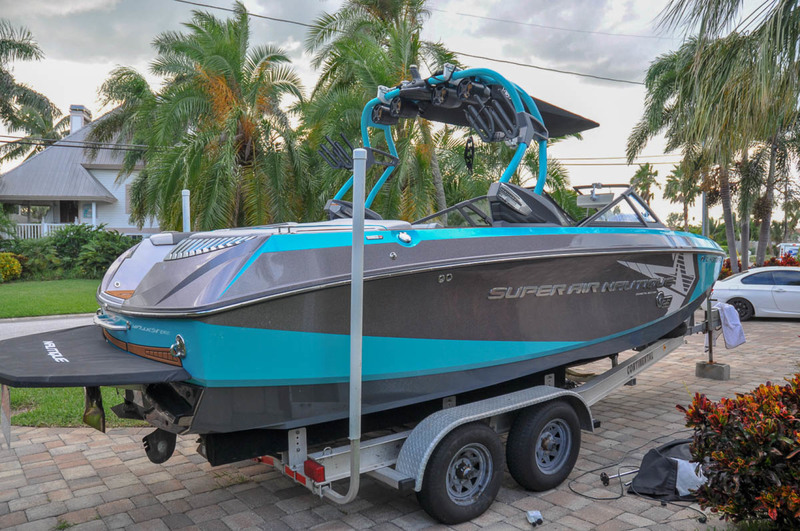 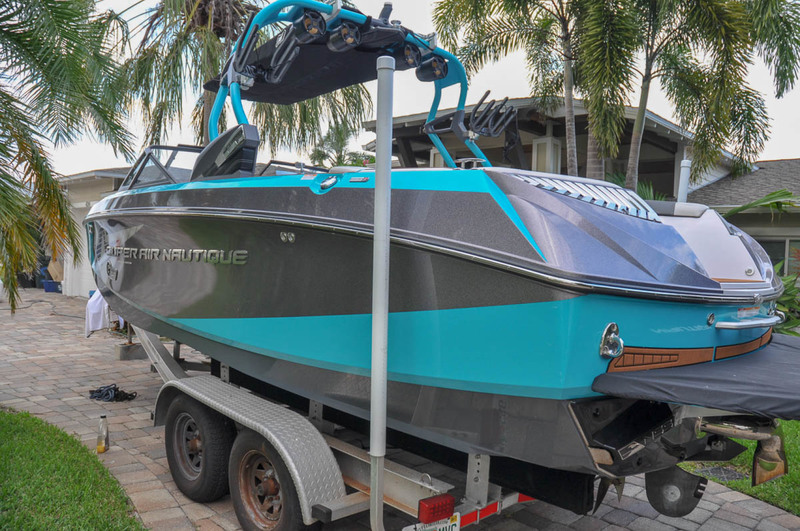 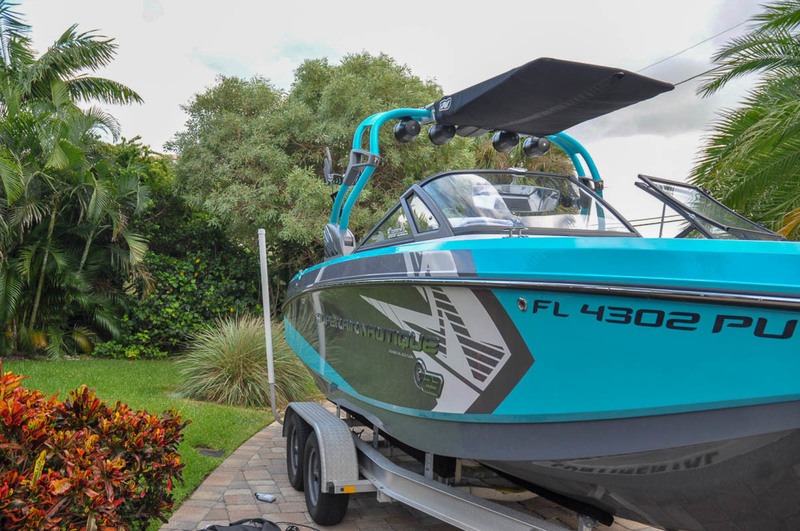 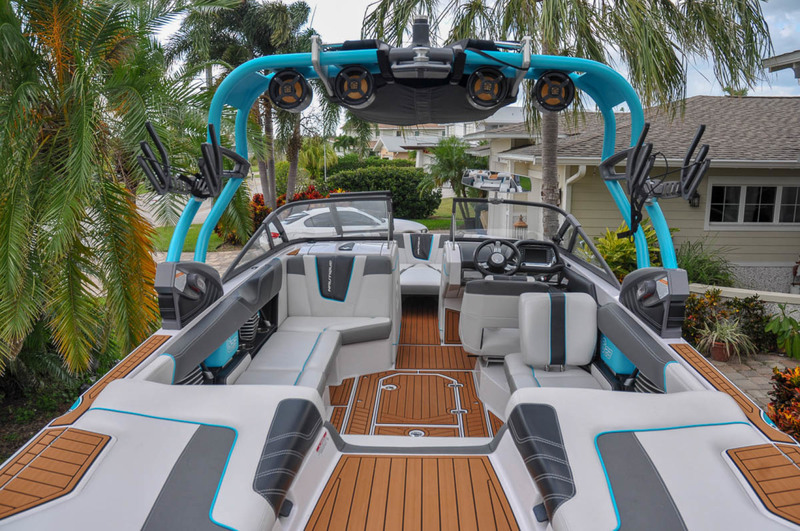 From the world?s best athletes to first time riders, the Super Air Nautique G23 has taken its place as the most sought after pull in the industry. 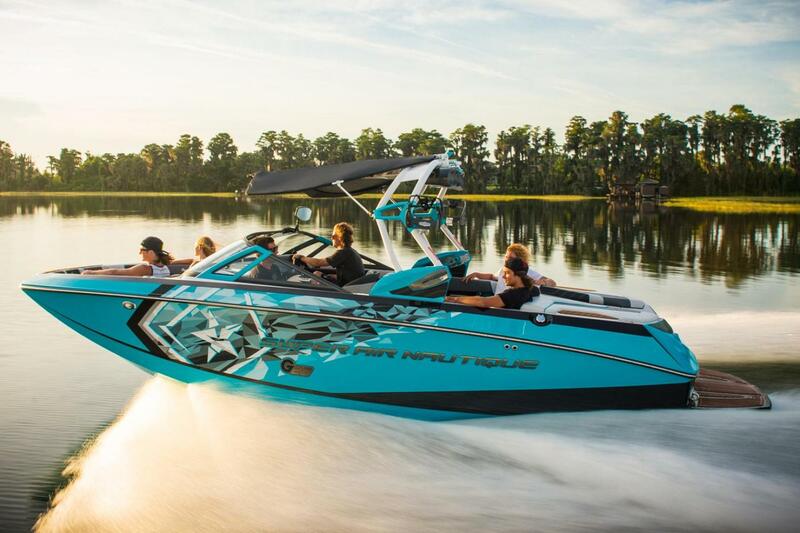 Its perfect wakes have become the destination for progression with every rider in the world looking to push the limits of possibility. 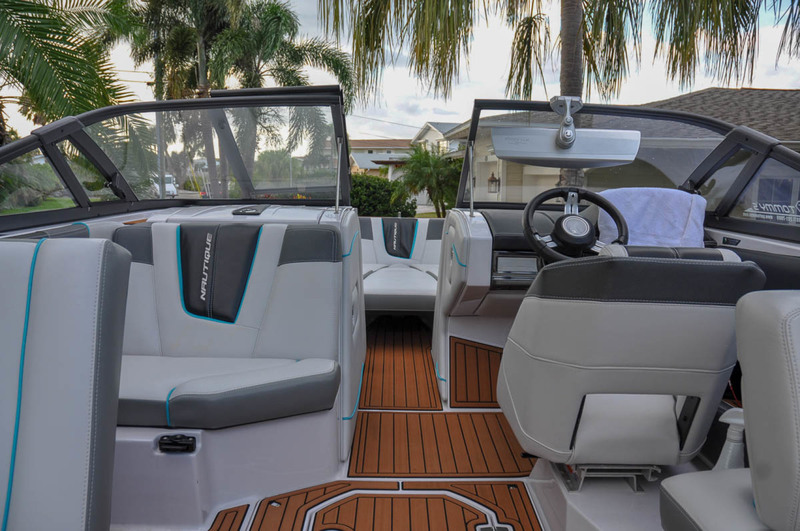 Precision engineered for performance, the G23 is unlike anything on the water with effortless handling and a smooth ride that makes driving through double ups and rough water an afterthought. 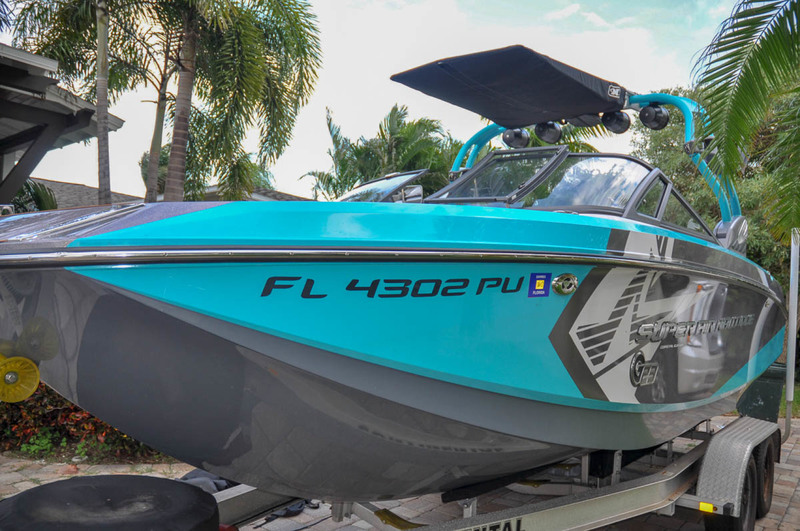 Adding to the sport specific performance of the G-Series, the Nautique Surf System (NSS) with WAVEPLATE® creates a fully customizable world-class surf wave that has led to Nautique becoming the official towboat of the U.S.A. National Wakesurf Championships. 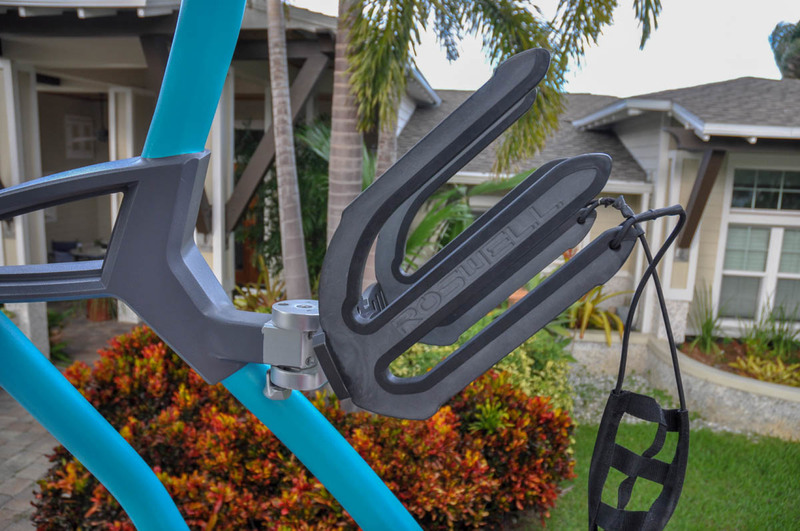 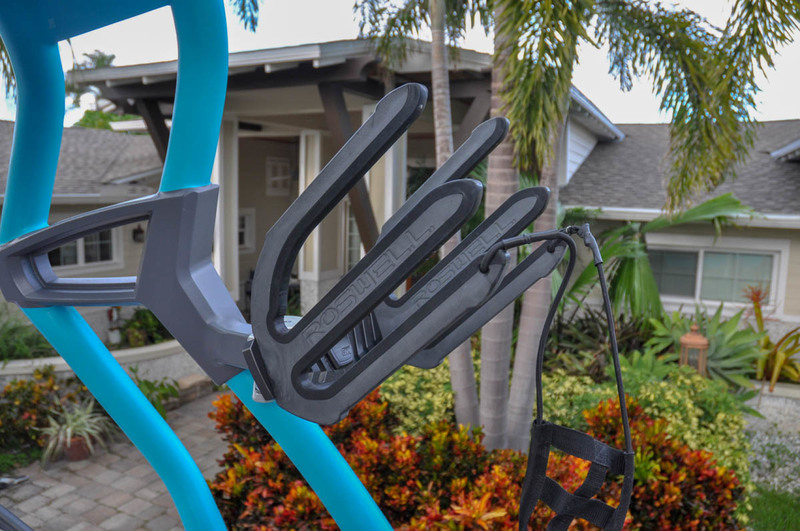 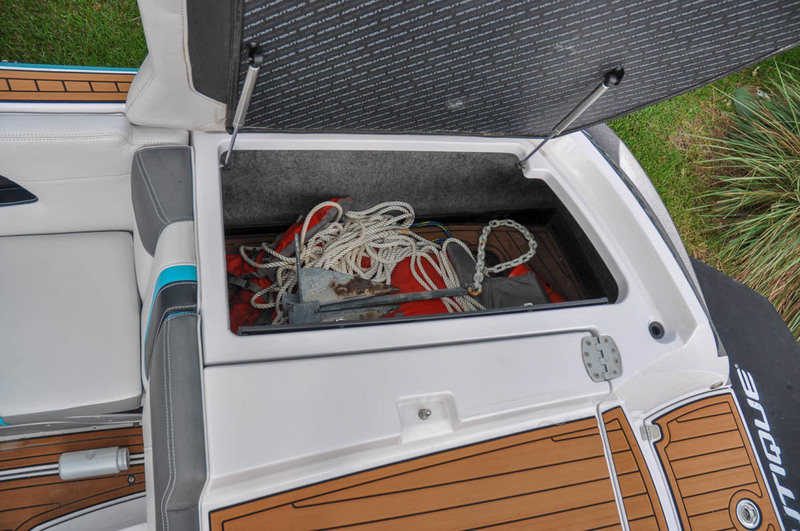 This unique system gives surfers the ability to keep the boat evenly weighted and switch the wave from each side in seconds without the need to offload ballast and people. 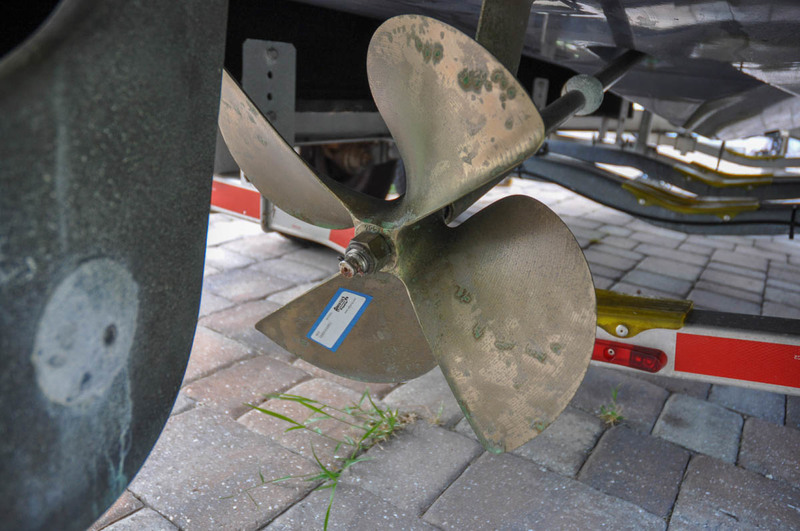 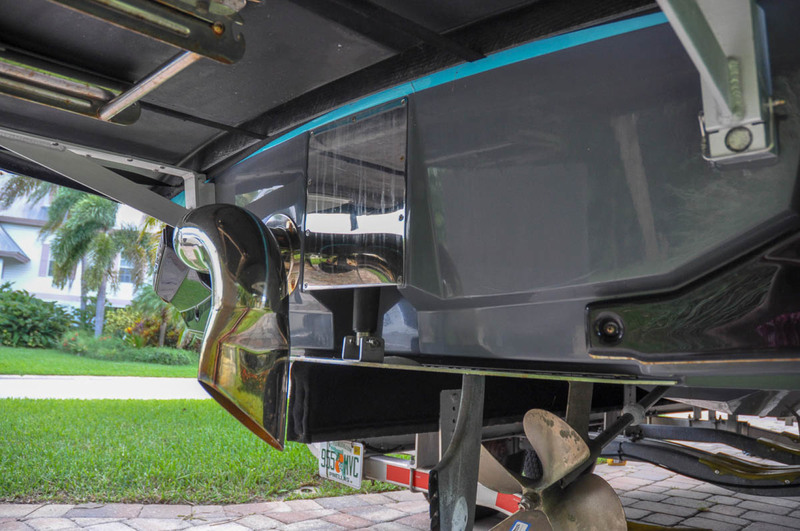 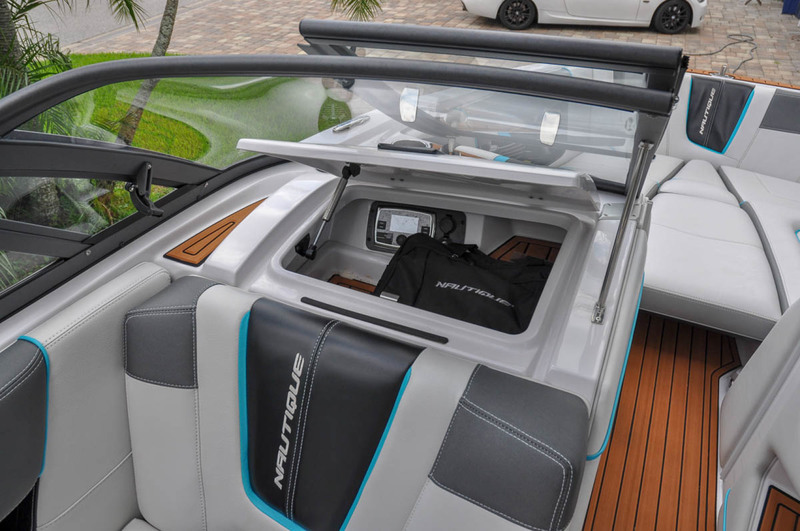 The Nautique Configurable Running Surface® (NCRS) fine-tunes the hull under any condition using the latest technology in our Nautique LINC system. 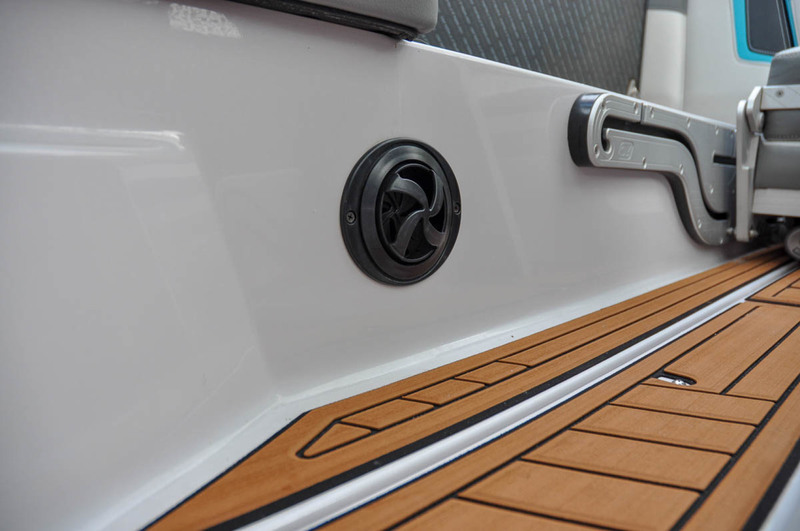 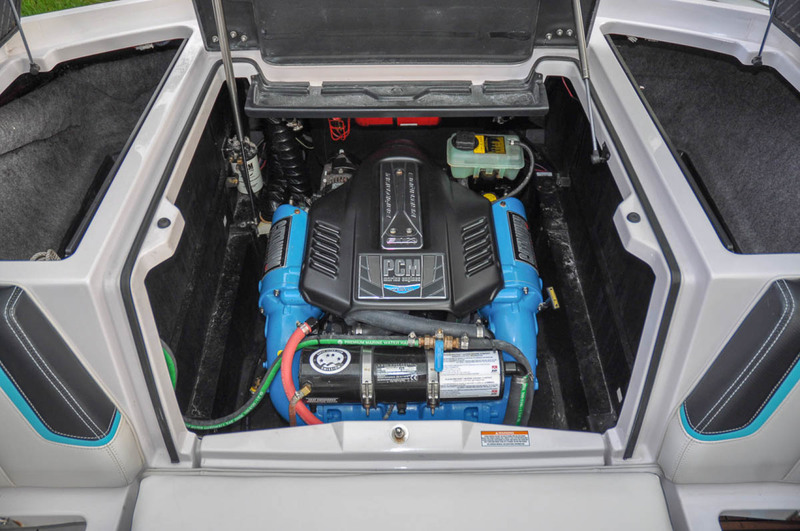 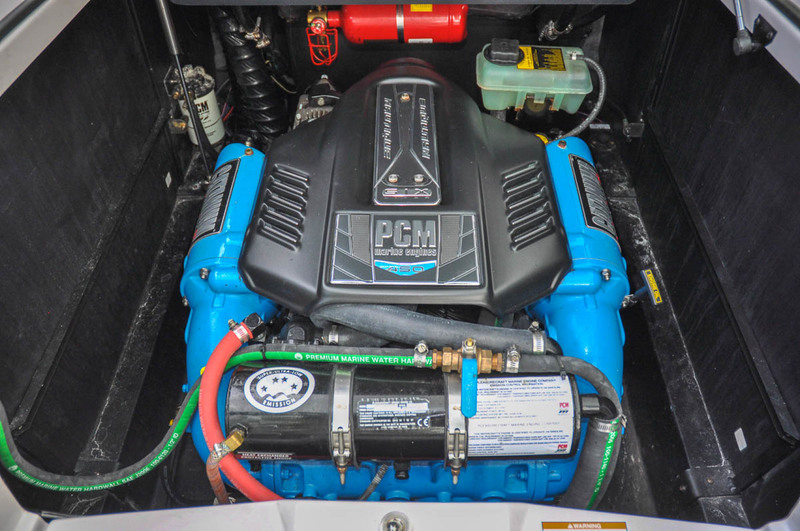 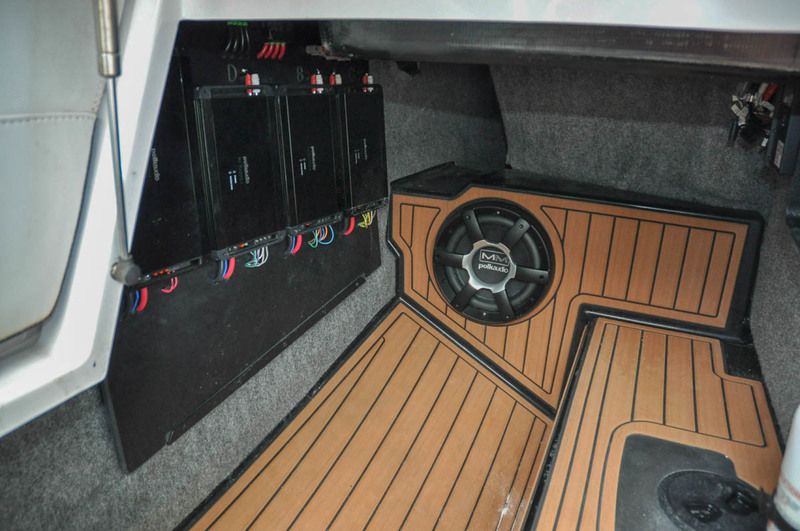 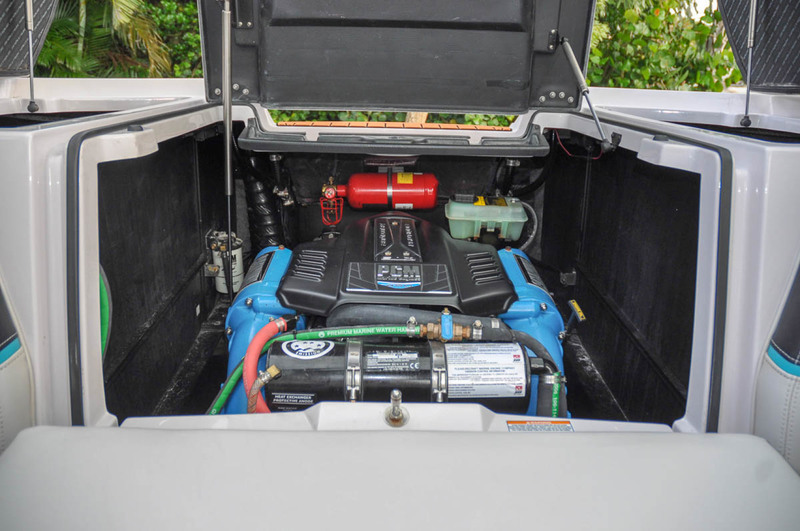 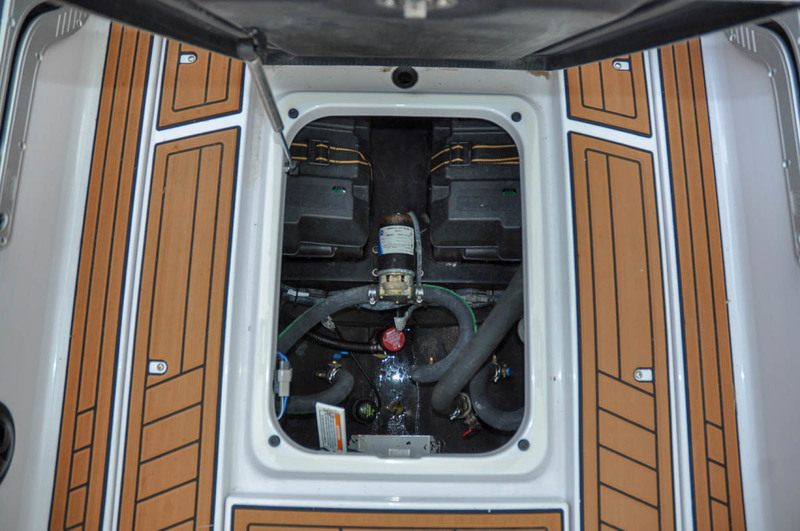 With 2,850 pounds of sub-floor internal ballast, the G23 offers you maximum ballast with maximum storage and a world class wake without the need for additional weight. 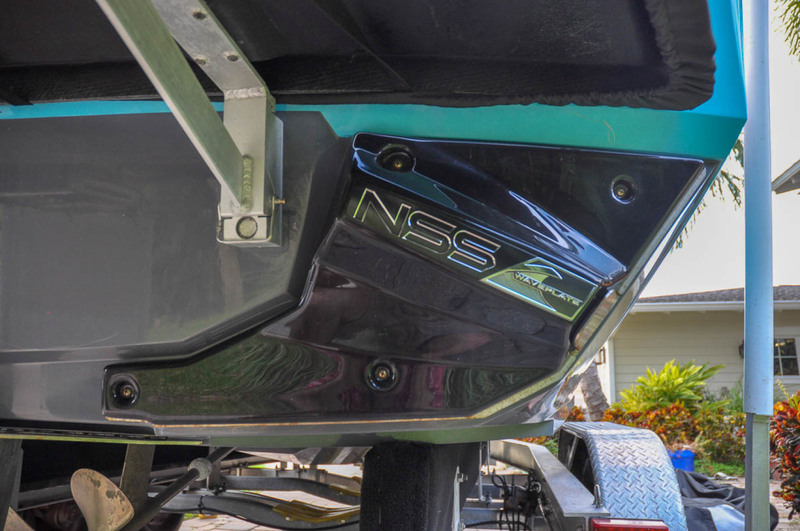 Designed with the rider in mind, the surface of this hull creates a wake that will work for every level of riding, at any speed and line length. 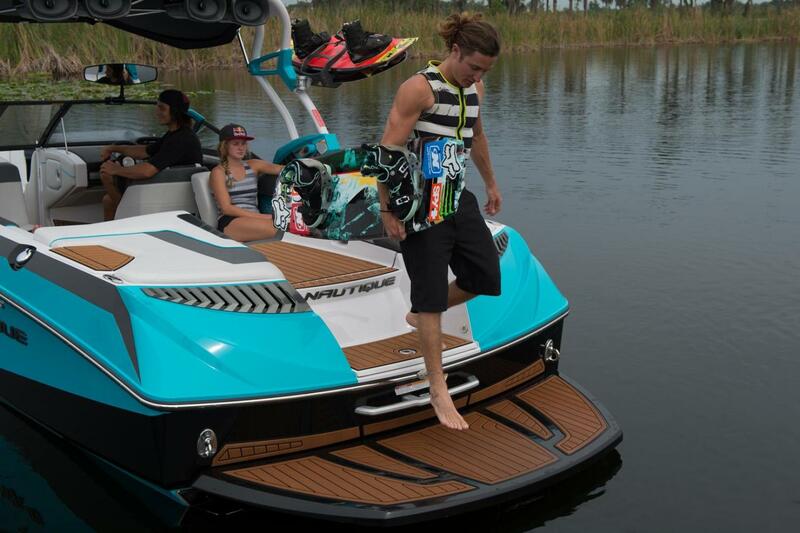 Never sacrifice a clean lip, long transitions, and solid pop when setting the preferences of each rider. 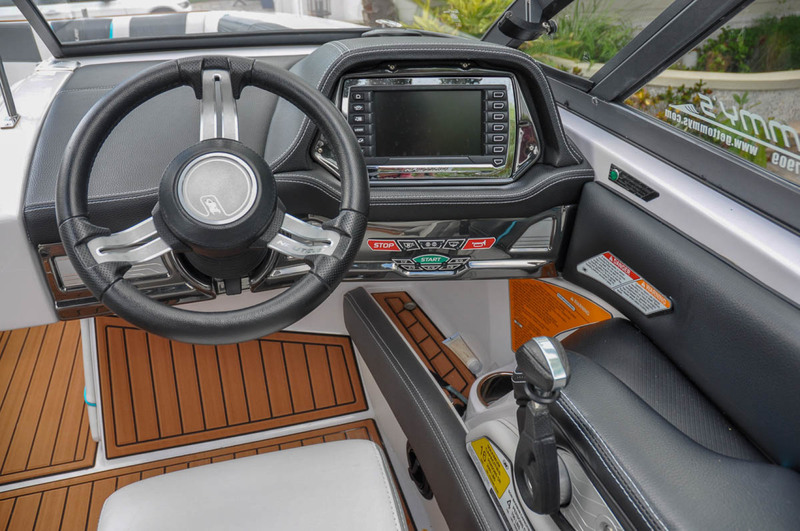 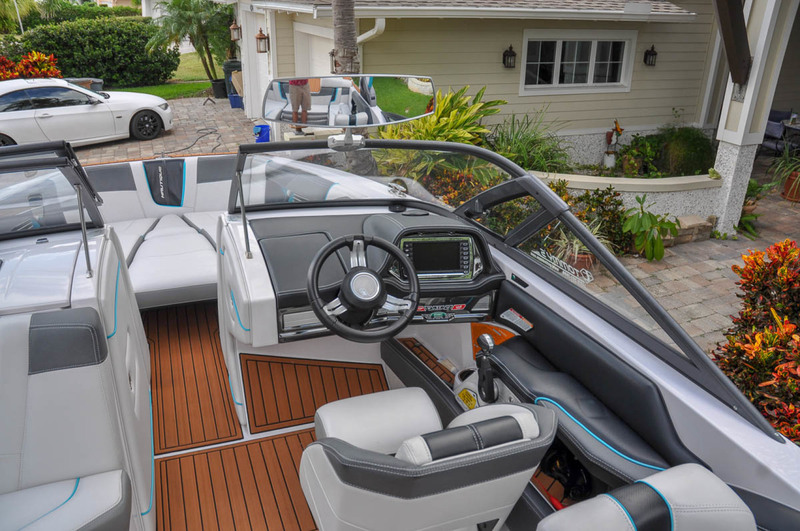 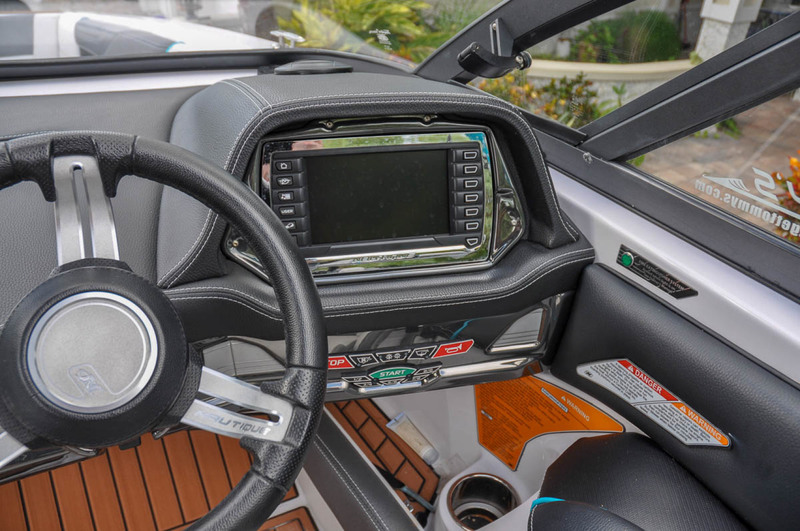 The revolutionary design of the G-Series is reflected in every aspect of the automotive inspired interior and pushes the envelope of boat design masterfully utilizing every space. 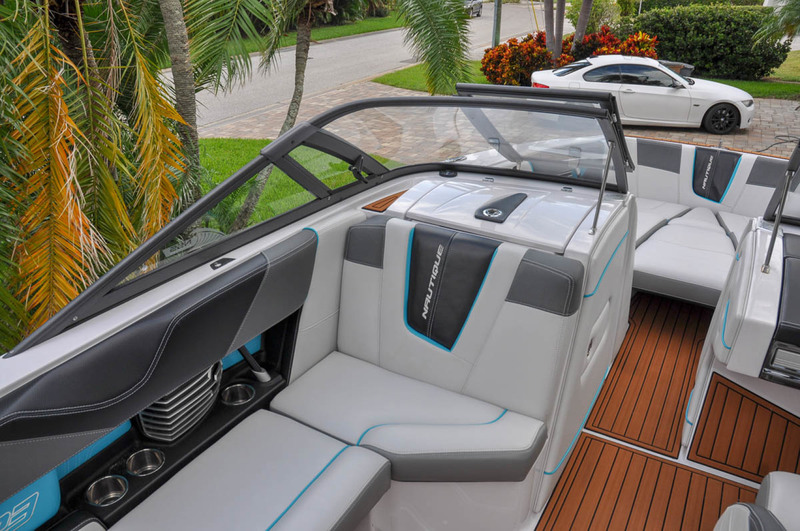 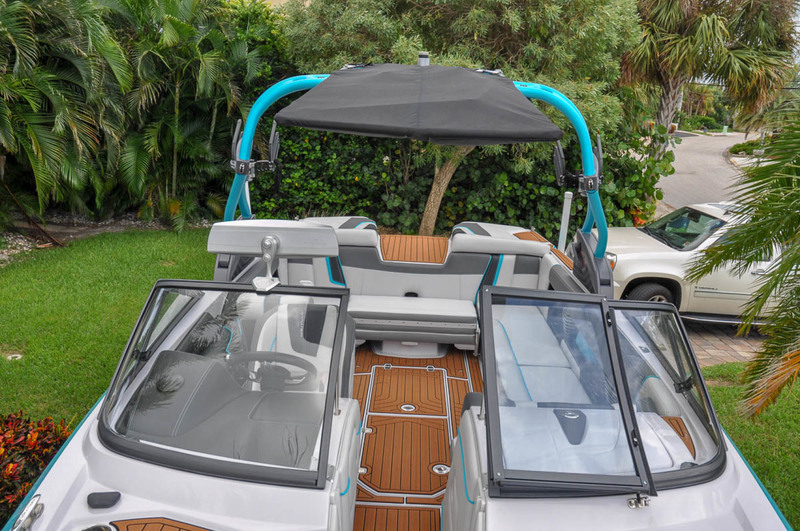 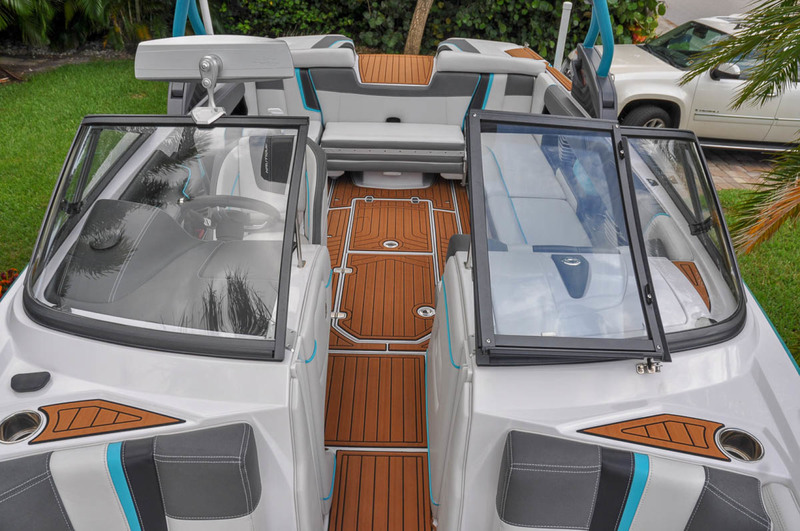 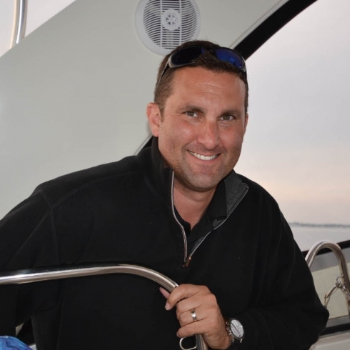 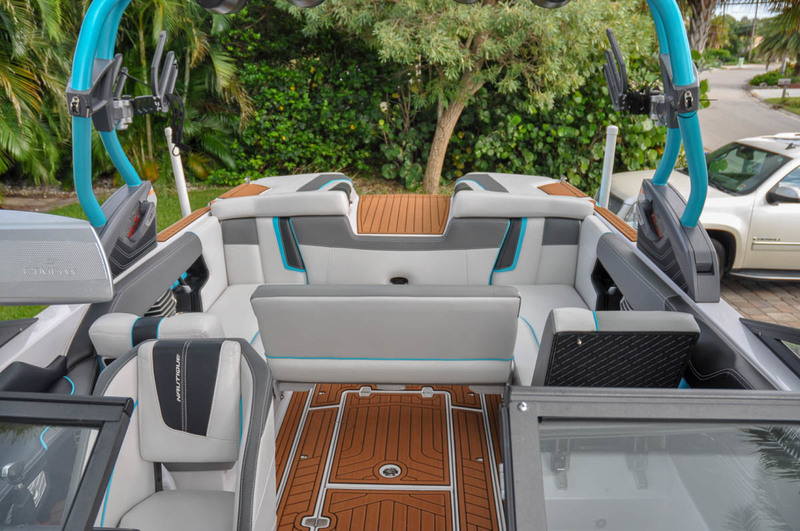 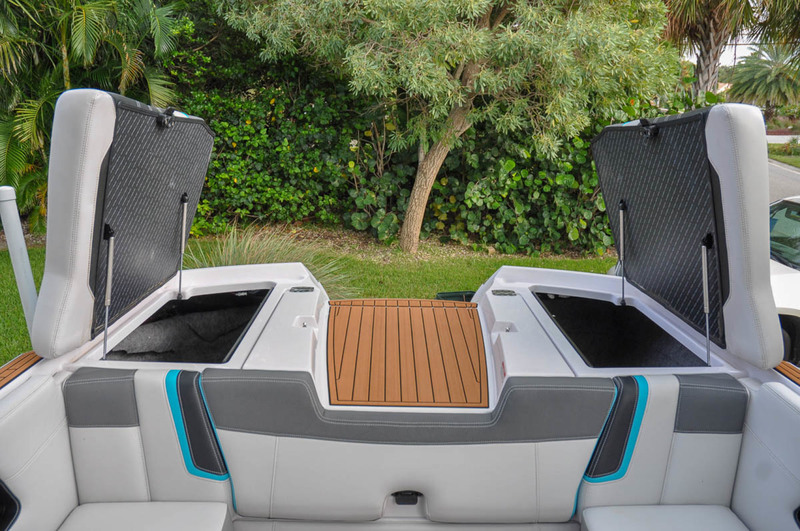 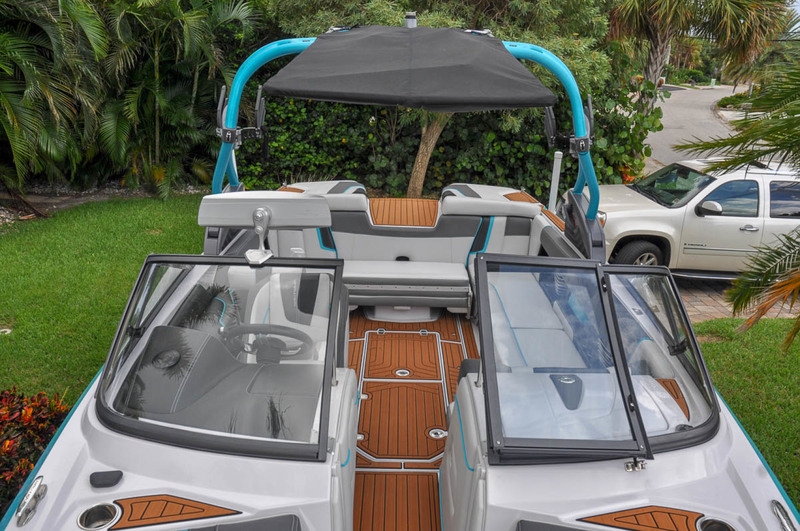 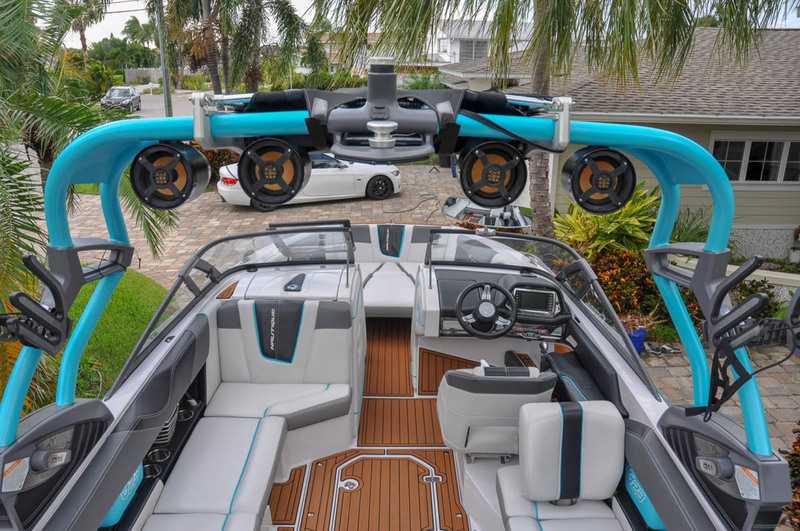 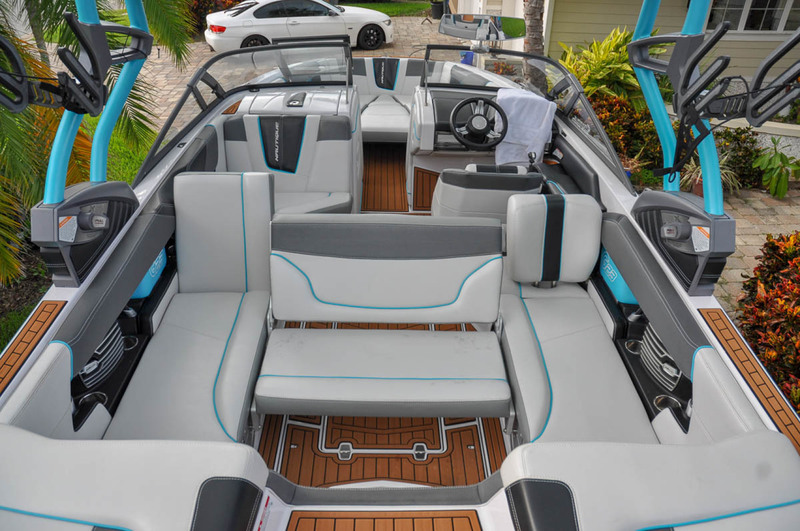 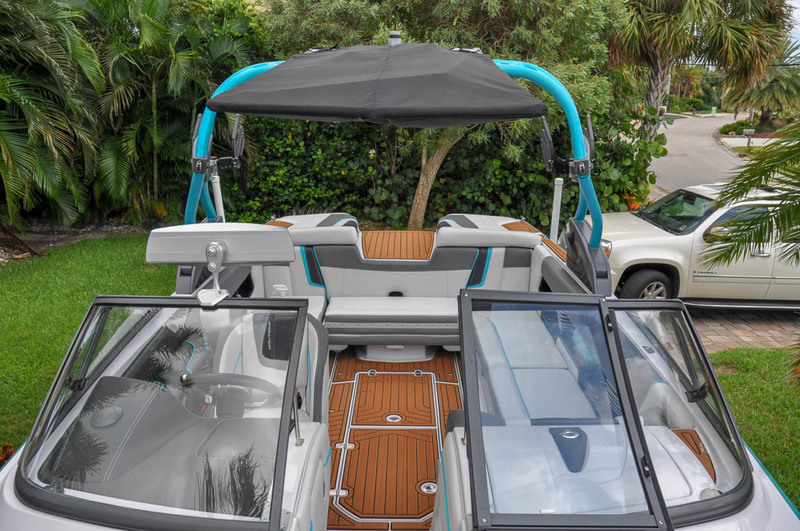 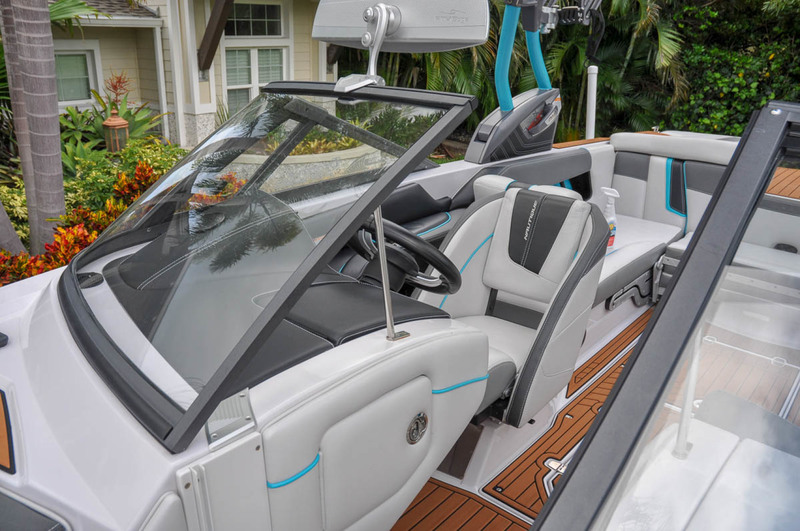 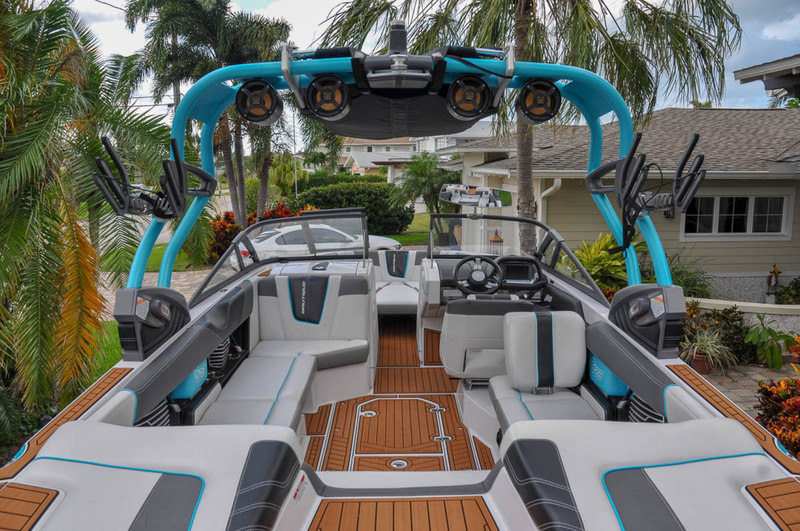 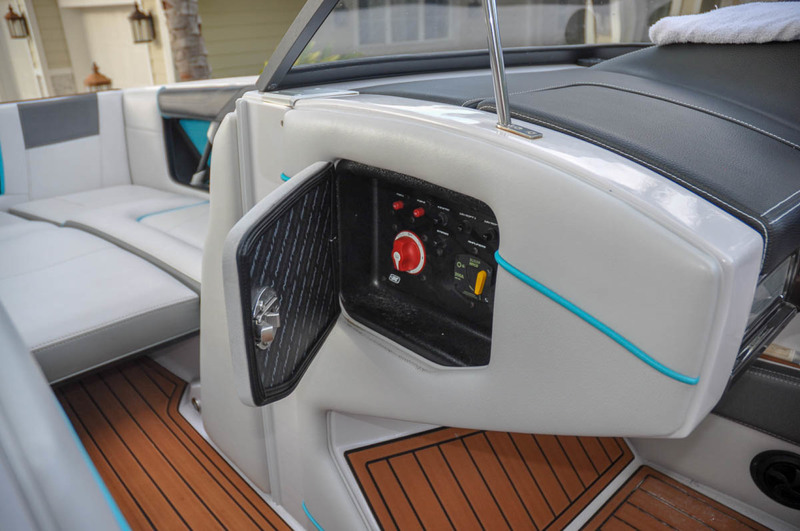 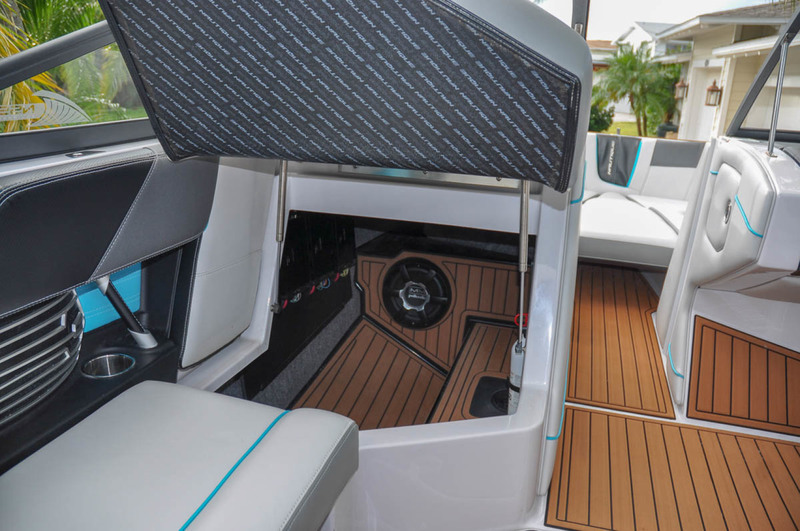 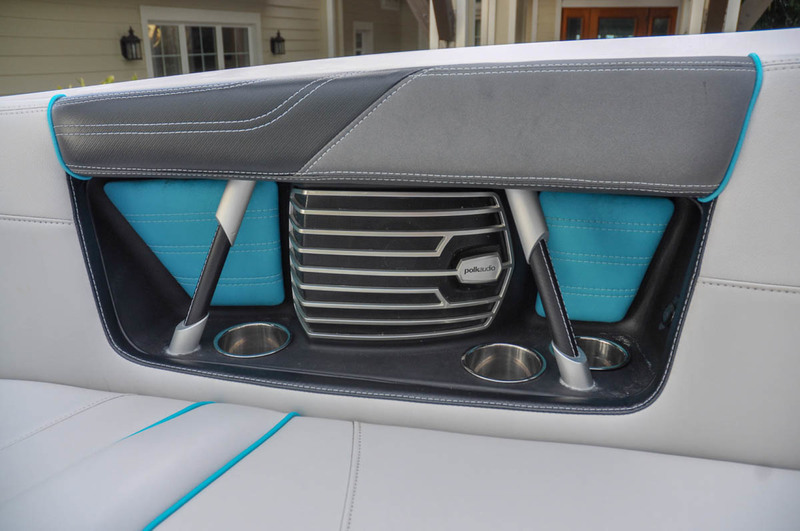 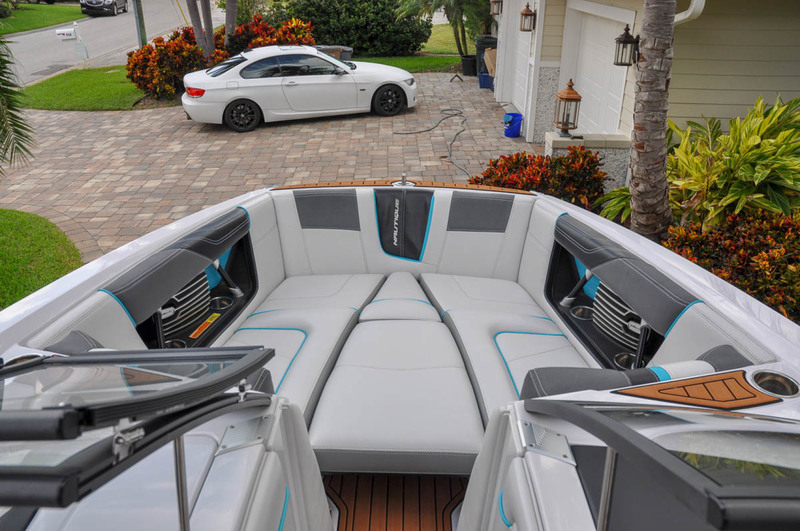 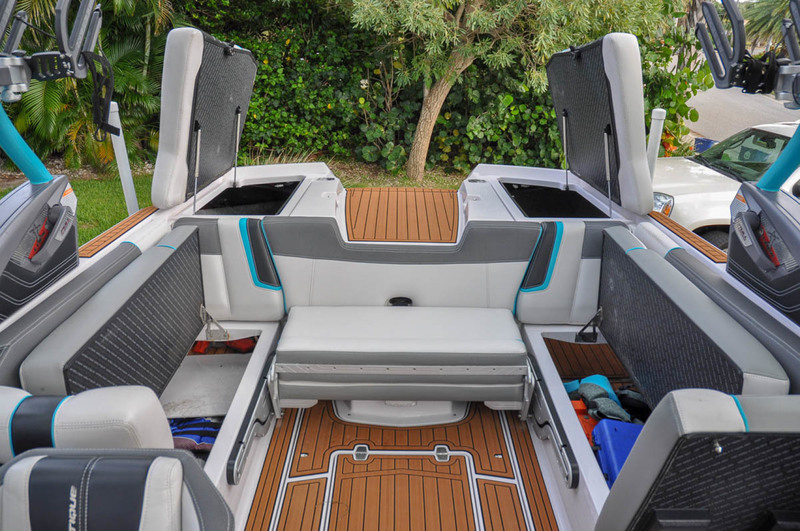 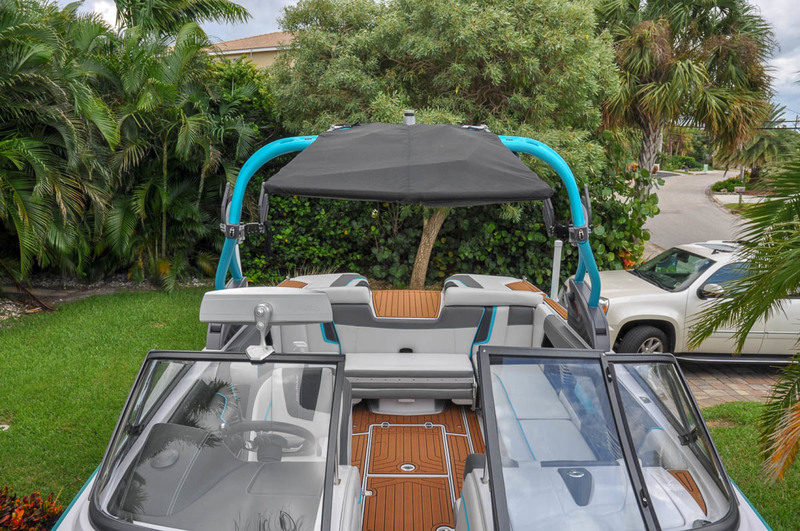 Configurable seating options that combine functionality, comfort, and style along with a new level of stereo control and premium sound make the experience inside the boat as amazing as the one behind it. 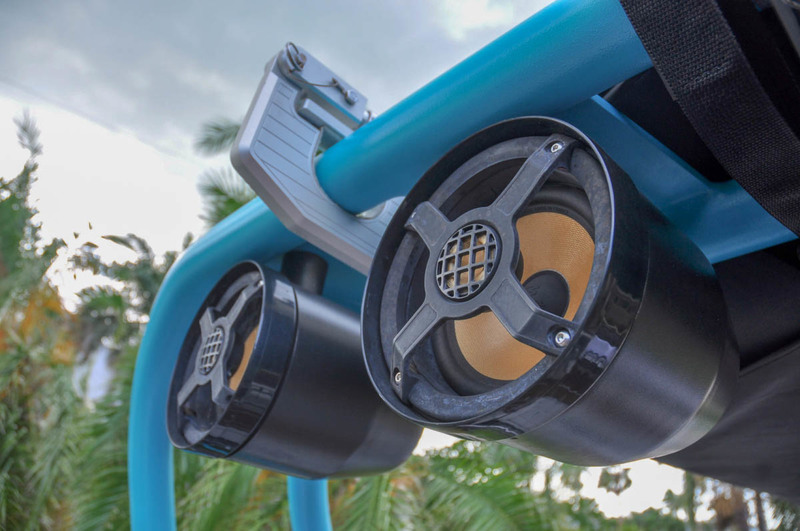 Tower Speakers (2) Coastal Edition 6.5"